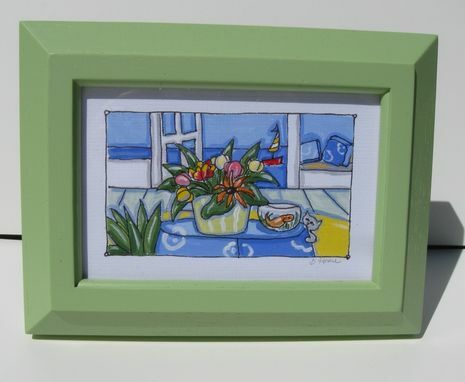 "Cat and Goldfish" is an original acrylic and pen and ink painting. 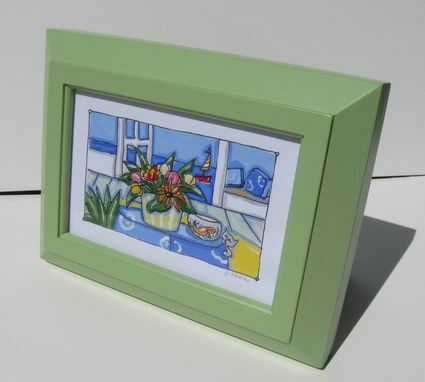 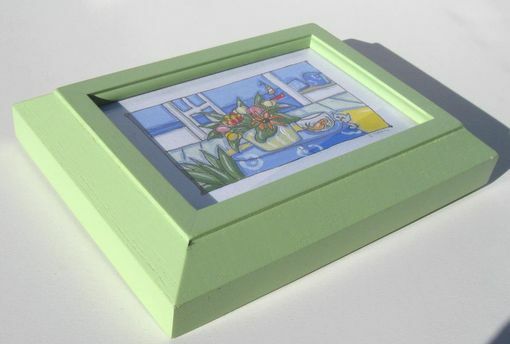 It is framed in a simple soft green frame. This piece measures 6"x8" and has a hanging hook as well as a back easel. 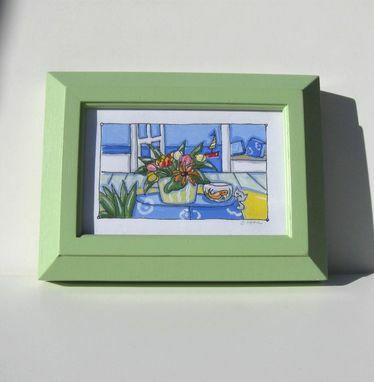 Looks great combined with other small originals (pictured in the thumbnails) and always a perfect gift.